Take glue and water, and brush the inside of mason jars. Adding water to Elmer’s glue helps it brush on easier. 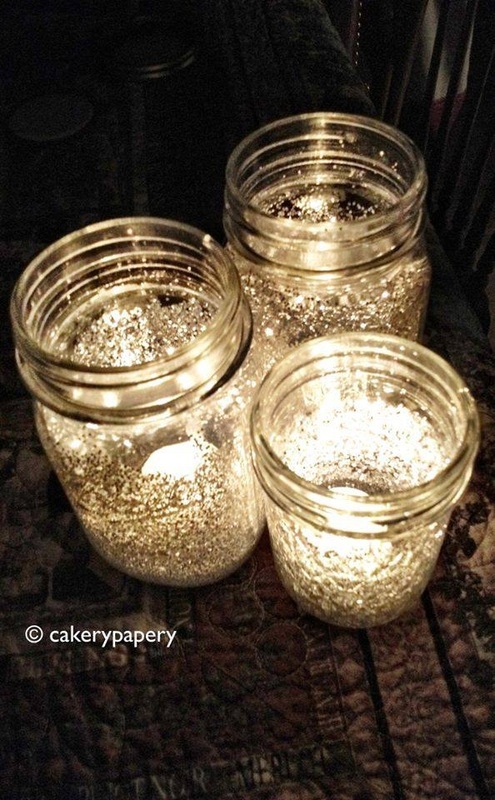 Add glitter of your choice to the inside of the jars, and roll/spin the jar around until the glitter coats the sides. Add a tea light after it dries!